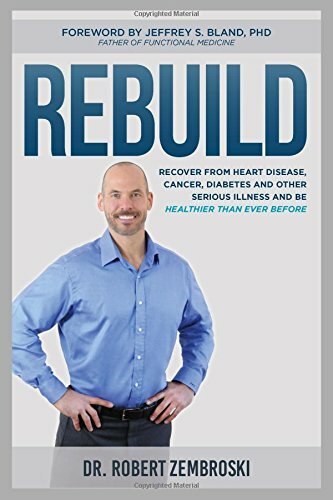 Can You Recover from Cancer, Heart Disease, Diabetes and Other Chronic Health Issues, and Actually Be Healthier Than Before? Dr. ZÃ¢ÂÂs own personal victory over life-threatening cancer inspired this ultimate program for those trying to overcome serious disease. He rebuilt himself to be healthier, more balanced and stronger than before. What he did for himself is now available to you in this book. Dr. ZÃ¢ÂÂs Rebuild program is for anyone who wants to get their life back and prevent recurrence while losing toxic fat and building strength. ItÃ¢ÂÂs a customized plan that fits your lifestyleÃ¢ÂÂa makeover that enables you to make a comeback based on real science for real results. Using this step-by-step guide, you can recover, heal, be happier and actually raise the bar for your health.